An empty lot on a hill in La Mesa will soon become an exclusive, gated community of 30 homes on a private street, developed by The Phair Co.
Named the La Mesa Summit Estates, the houses will be built on a 10-acre parcel located at the top of Eastridge Drive, south of the intersection of Monte Drive. “Every home in La Mesa Summit Estates will have spectacular views of the ocean and the Coronado Islands, Downtown San Diego, Point Loma, Mt. Soledad, Cowles Mountain, the Cuyamacas, or Table Top Mountain in Mexico,” said Austin Dias, a partner in the development. The Phair Co.’s plan is to build a mix of four- and five-bedroom houses that will include a “multi-generational” suite — a second master bedroom with full bath, kitchenette and laundry area — for grandparents or adult children “to live in a supportive extended family environment, but at the same time have a feeling of independence,” Dias said. Another feature of the houses will be front porches, designed to enjoy the views. “Front porches foster interaction between neighbors, helping to build a sense of community,” Armida Torres, project manager for The Phair Co. said, adding that the central location of the project will put residents there in the middle of La Mesa. “The Helix High Charter School and La Mesa Arts & Music Academy are only three blocks away, providing a quality education for the children of families purchasing a home in La Mesa Summit Estates,” Torres said. The houses will also be built environmentally friendly and include renewable and sustainable materials, energy-efficient HVAC systems with Wi-Fi remote control programmable thermostats, tankless water heaters, roof-top solar, plumbed for gray-water use in landscaping, xeriscape drought-tolerant landscaping, wood floors made from farm-raised wood (no old-growth lumber), hypoallergenic carpets made from recycled materials, Energy Star-rated appliances, non-VOC paints, roof-radiant barrier insulation, double-paned windows with UV coatings, high R-value wall insulation, and an electric car charging station in each garage. Dias predicts the energy efficiency of the houses will save buyers around $300 a month. There will also be no Mello Roos fees, which typically cost $400 a month for comparable homes. Right now, the lot is empty as the project winds its way through the city’s entitlement process, but The Phair Co. president Jeff Phair said he expects to get final approvals and start construction in approximately eight months from now. In the meantime, Phair wants to get feedback on the project before construction begins. “Is the bedrooms and baths what buyers want? Is there a need for a formal dining room? It is important to get feedback from potential buyers,” he said. Interested buyers and real estate agents interested in selling are invited to attend a preview showing of home elevations and floorplans on Sunday, Nov. 5 from 10 a.m. to 4 p.m. at the Nan Couts Cottage, 5045 Memorial Drive. For more information, contact tpc@thephairco.sdcoxmail.com, or call 619-426-0441. Correction (Nov. 24): The price of homes for the La Mesa Summit Estates should not have been stated in this article. The developer instructed the Courier to delete the pricing. The pricing was inadvertently left in the article. It has now been removed online. We are downsizing next year and will be looking to stay in SD county.please put me on your interest list. Looks llike a nice small development with good green choices. My husband and I are very interested in your homes, and submitted our name (as did my daughter Sarah Edrozo) when your sign at the property first appeared. Unfortunately we were not aware of the meeting in Nov. for feedback. Is it possible to be placed on an e-mail list for future information regarding this project? We would hate to miss another opportunity to give feedback, get building dates, and possible completion dates. Also, would it be possible to know where we stand on your interest list so as to learn if we are even in the running for one of the homes. Balinda McClellan 4404 Sheldon Dr.
Hi Balinda! For more information, contact tpc@thephairco.sdcoxmail.com, or call 619-426-0441. Please include Mary and I on your Interest List. We are looking to downsize to a Single Story house. Hi George! 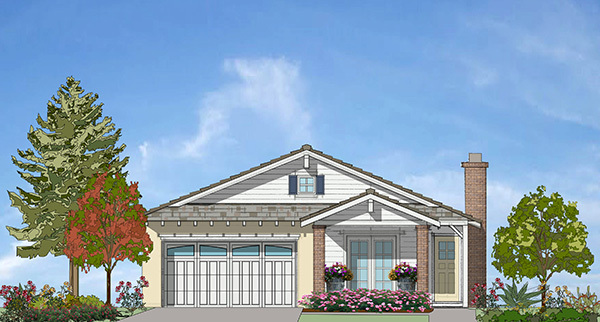 For more information on the project, contact tpc@thephairco.sdcoxmail.com, or call 619-426-0441. Thanks! Retired couple, ex job corps instructor of carpenter and. Wife Carol former real estate broker. Very interested in this project. Down sizing in near future. I would love to get info about the development and the houses.